Christmas is getting closer, and I feel the "crunch". The semester is nearly over, which is giving me more time to work on several Christmas commissions. The list grows longer as people remember that I make handcrafted gifts that would be great for Christmas. 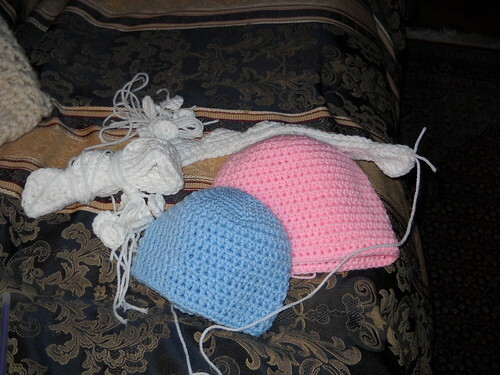 For the past week, I've been working on a pair of crocheted dinosaur hats, in sizes child and baby. 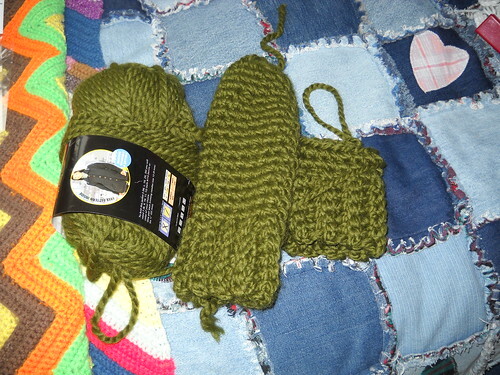 I managed to finish the child sized one, but the baby one is giving me size problems. 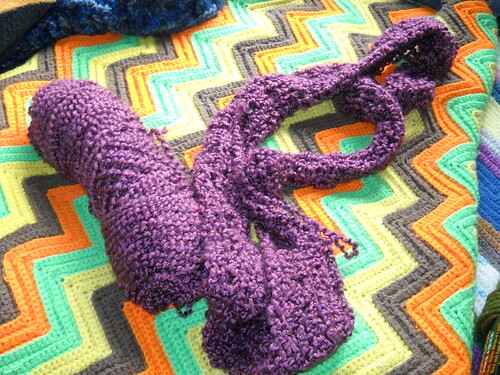 I've been working on an idea for an infinity scarf/cowl. I've seen them in the stores, and figure I can jump on that bandwagon. I started one yesterday, but it is not to my desired width yet. I'll probably get back to it when the homework has disappeared. I still have 3 more hats to make, plus a large number of gifts. Is 18 days enough time?! As my last real class is tonight, I hope to move all of these projects into the FO category. Hopefully this will happen by Friday.